On a trip to Aomori Prefecture, when it comes to eating out there are more options beyond trying the traditional dishes that make up Aomori’s soul food list. 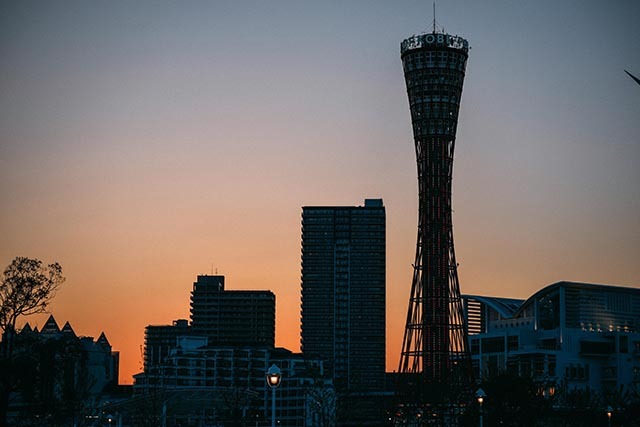 If you want to take a break from the soba and ramen dishes famous in the region, we have some recommendations covering Aomori City as well as other areas around the prefecture. At Hotate Goya, right next to Aomori Station, you can catch your lunch and eat it too. For 500 yen, you can try your luck and catch as many scallops as you can within three minutes from the two tanks available at the restaurant. Once the three minutes are up, you can then choose to grill the scallops yourself, eat them as sashimi, or as nigiri sushi. If you go empty handed the owner will throw in a couple of scallops as your consolation prize. If fishing scallops is not your thing, there are other local seafood specialties like the sashimi donburi and grilled fish to name a few. Hotate Goya is open all year round from 11am to 7pm, or until 8pm from May to August. Auga Ichiba Market is not the only place in Aomori City where you can find seafood on the cheap. A couple of blocks south from the market, the Aomori Gyosai Centre awaits customers who not only want to eat fresh seafood, but also take pleasure in making their personalized Nokke-don (the local version of donburi or rice bowl and seafood set). Most of the stalls inside the centre are labelled either with a blue flag (those selling seafood) or an orange flag (those selling rice). As you walk in, you can purchase ten tickets for 1,300 or five tickets for 650 yen. Ticket in hand, you then exchange the tickets for sashimi and/or rice, and voila, create your own personalized meal, and then enjoy it at one of the eating areas. It does not get any simpler and fresher than that. To get to Oomanzoku you’ll have to do a bit of travel and then some. To be more precise you’ll have to get to Oma, the most northern point on the Honshu Island and a town famous nationwide for its tuna. 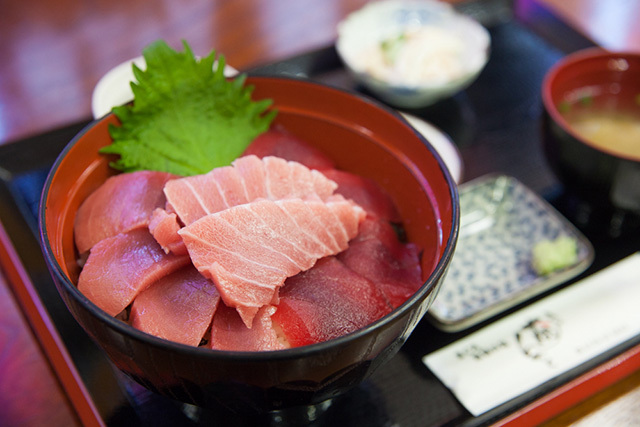 For 3,300 yen, you can enjoy a tuna donburi set including three different kinds of tuna, miso soup, and Japanese pickles. The tuna in Oma and at Oomanzoku is delicious all year round and even more special from October onwards when the tuna season begins. Either way if you are exploring the area, this place is a must. Oomanzoku is open everyday from 8am to 6pm. This izakaya is part of a nationwide chain created to provide low cost izakaya fare while transporting its customers back to the Showa Era. In Hirosaki City you will find this charming izakaya tucked along Kakumikoji, Hirosaki’s izakaya street and covered with movie posters and signs. 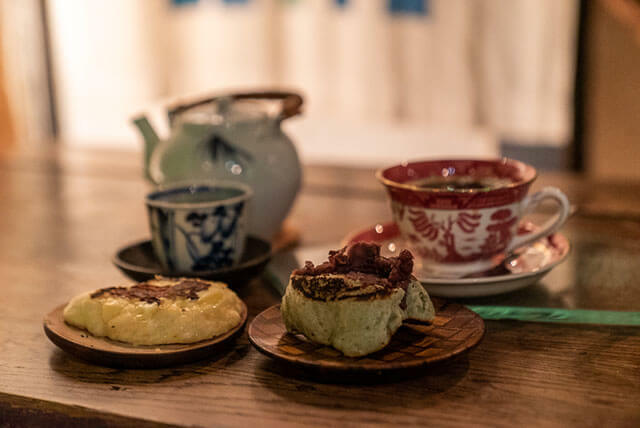 Inside, you will definitely feel like you are stepping back in time, and aside from the 50 yen yakitori sticks, the restaurants nostalgic atmosphere and friendly staff will easily keep you entertained for a few hours. Hakuri Tabai Hanbey is open from 5pm to midnight from Sunday to Thursday, and until 1am Friday and Saturday.